Tresu Group, a global supplier of flexo presses and ancillaries for the flexo and offset printing market, will show developments in its chamber doctor blade systems for narrow- and mid-web at Labelexpo India. The company will exhibit at the stand of its recently appointed agency, Capital Graphic Supplies (New Delhi), Stand K18. The new agency offers a fast, accredited and direct source of Tresu Ancillary consumable products and systems at competitive prices, as well as technical support and expertise. The Tresu FlexiPrint Reservoir Chamber Doctor Blade System is a show highlight for narrow-web water- and UV-flexo presses. It eliminates splashing, requires no ink pump and facilitates fast, effortless changeover. The system locks with ease into any position in the printing sequence. Uniform ink coverage is assured on the anilox roll, even when volumes are as low as 0.2 litres. Also on display will be the Tresu FlexiPrint IMW Chamber Doctor Blade System E-Line, for water-, UV- and solvent based inks and mid-web flexo coating. This system has been enhanced to include, as an option, Tresu's pressure control technology for foam sensitive inks and coatings. This unique technology maintains a constant barrier between the chamber doctor blade and the rotating open anilox cells, preventing air-bubbles from entering the ink chamber. Furthermore, both chamber doctor blades include Tresu's E-Line doctor-blade changing system for safe blade-switching in less than one minute. All Tresu chamber doctor blade systems now include Tresu Next Generation Seals. There is a range of seals for any printing situation, flexible to suit all anilox roll sizes (from ø60mm to ø450mm), all doctor blade lengths, and all Tresu ink chambers. The seal eliminates the risk of leakage or spillage, even at speeds of up to 300m/min by creating an airtight barrier. This also enables leftover ink to be stored for long periods, without evaporation or deterioration in quality. "Our range of chamber doctor blades enables us to provide a unique service to each individual printer," says Henrik Kristensen, sales director, Tresu Ancillary. "We can assure quality results at high print speeds and minimise make-ready time. Tresu is constantly working with leading flexo and offset press manufacturers and specifically major narrow-web manufacturers on chamber solutions, to develop adapted versions which seamlessly fit into the any press design." Tresu has partnerships with several of the world's leading flexo and offset press makers, developing a wide range of auxiliary products for narrow-, mid- and wide-web printing and coating situations. The company has also recently launched Tresu Webshop, so customers can order original ancillary and spare parts as well as consumables directly and at highly competitive prices with authenticity guaranteed. YMC was founded in 2009 with the election and appointment of the YMC board during the annual Finat congress in Antalya, Turkey. The board exists of young professionals from Belgium, India, Italy, Slovakia and Spain representing small and large companies that are active in the global labeling value chain. Initially, we held a few small conferences to get a feel of what we wanted to become and achieve. As we saw more and more members join from India we staged a larger event at Labelexpo India in close collaboration with Tarsus. In order to comprehend what is going on in our industry globally, and align our business to the changing requirements, young managers (those under 40) are very keen to connect with peers in the labeling industry from around the world. From that the idea to organize a global congress originated and we are looking forward to an exciting programme at Westin Hotel, Berlin, Germany, on 28-30 November 2012. This is being run in close collaboration with TLMI (US), LMAI (India) and hosting association VskE (Germany). In just three years we have grown into a truly global organization and have attracted over 60 members. Currently we have a vast majority - 70% - from Europe, 20% from Asia, particularly from India and the remainder from US and Latin-America. Our aim is to expand that number, in geographies, cultures, company type, and gender. Therefore we plan to organize more networking and learning events that cater for the needs of these young professionals who are likely to look for information, solutions and answers that differ from those more experienced managers have. That is why we envision a more hands-on approach. Through workshops and presentations we want to provide practical information that helps develop both personal and managerial skills. 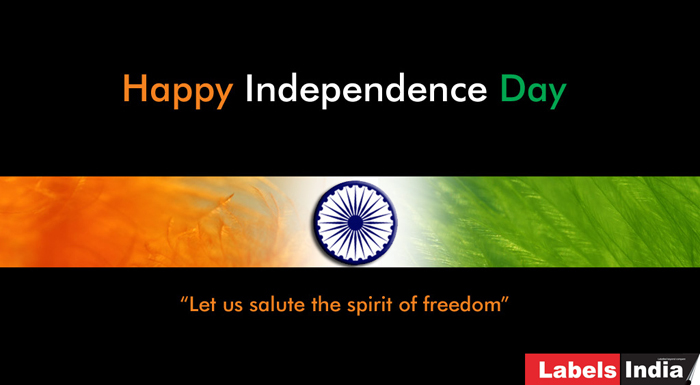 Inspires and supports them in their strategic and operational activities. We are very grateful for the 'heritage' received from our predecessors, but believe we can help fix some of the 'blind spots' for the younger generation. Recruiting members is an ongoing process and the board's priority. We deploy our network and make use of social media. But the best way to attract new members is still by sharing our passion and informing them of the benefits of becoming a member through personal conversations. Apart from attracting new members we also aim to making existing ones more active. With the support of the FINAT board and members, we believe YMC can become a leading association for young managers. Provide guidance, and develop a social and global framework. The goal is also to further connect with other associations and make the global congress a recurring event. 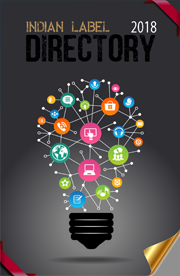 Because we believe it is the best networking platform for young managers. There are so many interesting young global citizens and professionals out there. We are highly educated, ambitious and excited about the future. Being a member and becoming part of this community is fun, interesting and rewarding. It makes you grow, in all respects. In order to understand the world, you have to be part of it. So far, we have only received very positive feedback. To connect and operate in a global organization and world, we benefit from the availability of much faster communication, smarter devices, and people who are multilingual with greater intercultural experience and empathy. The downside is the 'speed' at which we live and work. We need to be cautious about not wanting to chase short term profit, making the wrong decisions through lack of time or long-term vision. There is also the price pressure from both supplier and customer. And the need for a flexible business model that can bring more added value to customers. A challenge, particularly for second and third generation successors of family run business, is to consolidate their business. It is often said that the first generation brings the foundation, the second builds the actual house, but the third one needs to keep it future proof. Yet, last but not least, there remains the big question on how to embrace the whole environmental/sustainability issue. This can make or break our industry. HP recently announced that DE Product Labels of Lanarkshire, Scotland, has installed HP Indigo technology to expand its customer base and break into new markets. Following the installation of its first digital press, DE Product Labels, established in 2004, is now one of the few label converters in Scotland with digital capabilities, enabling it to stand out from the competition. The company’s existing customer base includes the bakery industry and engineering. With the new press it plans to target other markets, including high-quality, versioned labels for whisky products and customers in the pharmaceutical, health and beauty sectors. DE Product Labels chose an HP Indigo press ws4500, upgraded to include the latest technical features, such as virtually limitless substrate and spot colour capabilities, making it possible for DE Product Labels to produce better quality labels for high-end label products. The company will make use of the HP Indigo press’s short-run capability to provide its customers with cost-effective low to medium print volumes. The press also nicely complements DE Product Labels' existing flexographic equipment as the quality is consistent across both, enabling the company to utilise the technologies for one job. “Ensuring we can produce cost-effective labels as well as provide a flexible service for our customers was a very important factor when choosing the new press. The HP Indigo will not only eliminate the cost of printing plates, but also allow our customers to make changes on the press, whether that be a file change, colour or material substrate, and finalise the exact label there and then,” said David Edwards. HP Indigo digital printing technology offers the precise and effective application of ink onto substrates, which helps ensure exact colour matching and permits consistency each time the job is produced. “We believe we provide the Scottish market with a service not offered at present from another medium-size Scottish label producer, and the colour matching and consistency feature has enabled us to do this,” commented David Edwards. DE Product Labels will use the HP Indigo press’s seven-colour functionality and variable data printing capabilities to provide distinctive, quality labels for new target sectors. “HP is at the forefront in digital printing. Since adding digital capabilities to our offering we now have more capacity and are planning more shifts, therefore putting us in a great position to win new business and extend our customer base. We believe that every customer matters, and the HP Indigo will allow us to provide a service that demonstrates that,” said David Edwards. 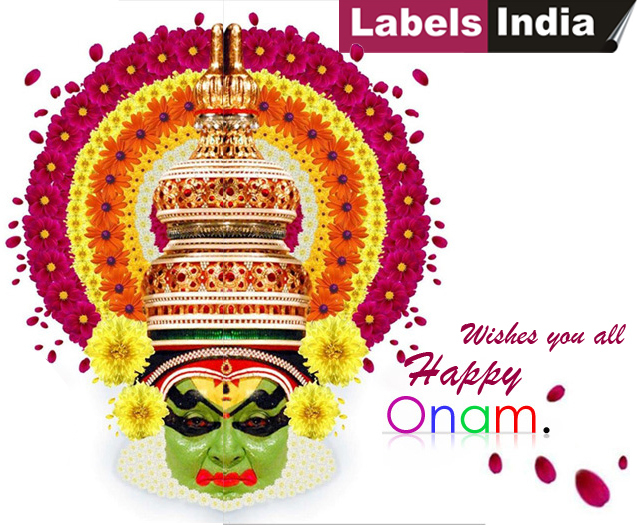 GSE Dispensing (Stand F16) will show how its automated ink logistics systems, flexo proofing systems and management software packages contribute to a waste-free, smoothly running ink workflow, under the (th)ink lean theme at Labelexpo India, 29 October to 1 November, 2012, in New Delhi. GSE's Colorsat modular gravimetric ink dispensing units have been proven to eliminate waste and improve yields by up to 30 percent, dispensing the exact amount needed for each job to precise color requirements and calculate excess ‘press return' inks into new recipes. The Colorsat units are suited for preparing colors for all flexo, gravure and screen label and packaging printing situations. The units cater for water, solvent and UV-based ink sets and dispense volumes from less than 5 kg (11 lbs) to over 200kg (440 lbs). The company will introduce its enhanced Colorsat Match dispenser, for flexo, gravure and screen label printing situations. The Colorsat Match will feature a new air bubble mixer included in the ink containers, which keeps consistent viscosity throughout the container and ensures a stable ink flow. Another new feature is an automatic wet / dry cleaning unit, containing a roller for quick change and easy maintenance. The Colorsat Match has enjoyed great popularity in the six years since its launch with multiple installations at label companies worldwide. The system specifically enables clean, fast and waste-free recipe preparation in batches of 1 kg (2 lbs) to 5 kg (11 lbs). Typically, a 5 kg (11 lbs) recipe of four colors can be dispensed in less than four minutes. GSE software tools enable efficient color formulation, cost-analysis and ink batch traceability. GSE's Ink Management Software (IMS) allows the printer to store a database of commonly used, complex ink recipe formulations. Standard integration with a Management Information Software (MIS) package provides the production manager real-time information about recipe availability, enabling quick response printing. The integration with MIS also allows detailed ink cost-analysis of each order, and the ability to trace inks used on every job to the original base ink batch number. This substantially saves operator time. A GSE-associated company, Print Proof Solutions, will also present its Perfect ProoferTM. This automated, table-top wet-proofing solution lets ink lab technicians pre-flight their formulations under actual press conditions. As a result, precise colour perfection is possible without the need for re-adjustments on the press. This can potentially cut the make-ready time by half and eliminates significant ink and start-up substrate waste. 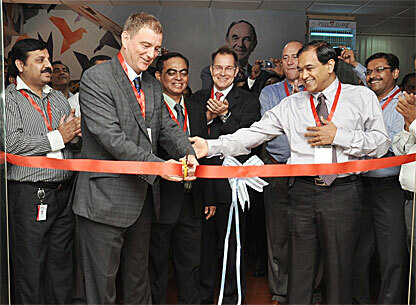 The company's Indian customer base benefits from local technical support, provided by International Caliber, based in Vileparle, near Mumbai. Remote diagnostics, to proactively resolve any issues with dispensing system software via internet are provided around the clock, from the GSE headquarters. Mr. Anne Lourens, managing director at GSE Dispensing, comments: "Major brand owners demand exacting standards from print suppliers, in order to achieve high visual impact on the retail shelf and an identical look and feel wherever their brand is sold. Increasingly, therefore, printers must supply unique colours with predictable results. Our dispensing, proofing and software systems provide the framework to meet these expectations, while maintaining a lean, waste-free ink workflow." Founded in 1975, and headquartered in Brummen, Netherlands, the company is a world leader in ink dispensing technology, with over 1,500 dispensing installations world-wide. 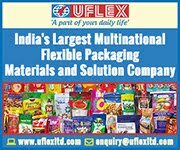 Hyderbad-based commercial and packaging printer Pragati Pack India Pvt Ltd has strengthened its commitment to flexo quality by installing a Perfect Proofer. A table-top automated wet-proofing device, the Perferct Proofer enables lab technicians to pre-flight ink formulations under actual conditions of the flexo press. This makes fingerprinting obsolete and provides precise flexo colour predictability. The Perfect Proofer is compatible for UV, water- or solvent-based inks and can print onto any substrate. It features the same photopolymer plate, tape materials, anilox type and cell-count, drying system and substrate as the target press. Also, impression pressure and nip distances are adjustable by increments of microns. It can therefore offer a predictable result to within a fraction of 1ΔE, at the desired dot-gain. As a result, printers save material waste and several minutes set-up time on every printing job, potentially boosting press productivity by hundreds of hours per year. With a 140,000 sq ft packaging print factory in Hyderbad, Pragati is one of India’s largest suppliers of labels, folding cartons and rigid cartons, offering a one-stop-shop for product decoration, from design to distribution. The company also has an 80,000ft² commercial printing operation. This year, Pragati has gained international recognition for its dedication to flexo print quality, winning three Finat label awards. The company has won the SAPPI International Printer of the Year awards three times since 2006. The Perfect Proofer is distributed through Print Proof Solutions, based in Brummen, the Netherlands. 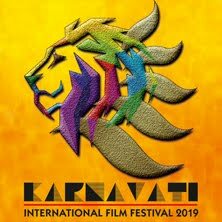 It has a global network of service representatives with agents across six continents and is represented in India by International Caliber, an agency with a strong and reliable presence in the Indian market. Located in Brummen, the Netherlands, Print Proof Solutions helps flexo printers with lowering cost and saving time with press proofing their inks. The company is the European distributor for the Perfect Proofer, an automated proofing system for flexo inks with a proven track record and an installed base of 100 systems worldwide. The Perfect Proofer is manufactured by Integrity Engineering, Inc. (USA). At Labelexpo Americas 2012, Chicago, the Danish press manufacturer Nilpeter (stands 3105, 3205) will introduce two new printing presses and unveil a new corporate-wide initiative that intensifies the company’s focus on technological innovation and helping label and packaging converters to build competitive advantage. The initiative, ‘NEXT’, signals the company’s intention to add value by optimizing the packaging-label printing process and generating opportunities for expansion into new markets. As a consequence, the company is strengthening its commitment to research and development as a basis for enhancing the program of FA and FB flexo and MO offset print-converting lines with smarter workflows and a broader palette of configurations. 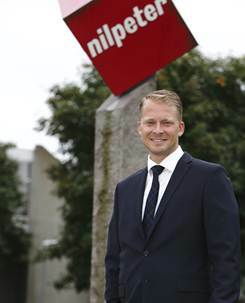 The NEXT initiative will ensure the company’s perspective permeates all aspects of the Nilpeter operation, and heralds investments in the company’s Customer Care division, technology centers at the Slagelse (Denmark) and Cincinatti (Ohio) factory, and new enhanced customer support set-ups around the globe. 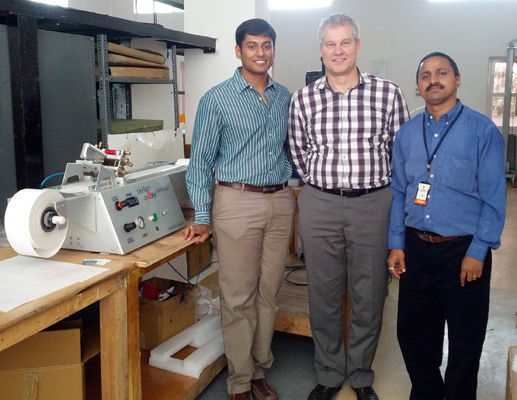 Avery Dennison has opened its first label printing Knowledge Center in Bangalore, India. Located at the company’s premises in Peenya Industrial Area, Bangalore, the new facility was inaugurated in a ceremony held on 18 August 2012. The fully equipped label production centre is equipped with a complete production and workflow set up in a unique tie up with a number of partners including Gallus, Esko, DuPont, Flint, Alphasonics, Rotometrics, Tarng Yun and Zecher. The centre contains prepress software and equipment from EskoArtwork, DuPont and Tarng Yung, a EM 280 label press from Gallus, toolings from Rotometrics, anilox rollers by Zecher, anilox cleaning systems from Alphasonics and inks provided by Flint. 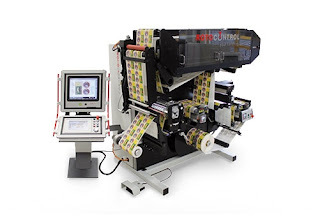 To top it all, there is also a label applicator from Avery so that the entire label production process can be explained, proven, demonstrated and even tested. Additionally, the production centre contains a conference room for discussion and training which is the highlight of this centre. The Knowledge center will create a ‘real time’ experience of what goes into the making of a label. The entire labeling process will be demonstrated beginning with pre-press, printing and converting, through to label application. It will also showcase the latest trends and innovations in the pressure-sensitive label industry, as well as holding training and knowledge-sharing sessions. Daco Solutions the UK based manufacturer of high quality converting equipment are pleased to announce they will be displaying the versatile DTD250 bench top rotary die cutter at the Labelexpo Americas show. The DTD250 is one of the most technically advanced and user friendly bench top die cutting units, with quick set up and simple user interface makes this a cost effective, robust and easy to use machine for short and medium run plain die cut and blank labels. The DTD250 is also available with a servo drive system for the finishing of digitally printed labels for the smaller type digital presses. 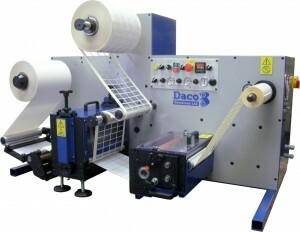 Daco Solutions also provides a wide range of machinery for the label and narrow web converting industry. The equipment is British designed and manufactured with the range including inspection / slitter rewinders, turret rewinders, flexographic label presses, digital converting / finishing equipment and rotary die cutters for plain label production. 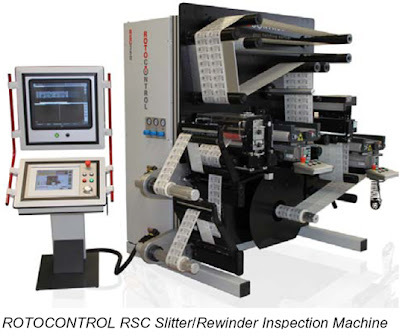 Rotocontrol has announced the availability for demonstration of its RSP single pass 100% security inspection machine at Labelexpo Americas 2012 in the Advanced Vision Technology (AVT) Stand 711. Labelexpo Americas, the largest label converting event in the Americas, takes place September 11-13 in Chicago. Designed for compliance with the most demanding security label inspection and finishing applications, the RSP will be demonstrated with the AVT PrintVision/Helios II, the industry leading 100% inspection technology designed to meet the requirements of any label and narrow web application. AVT's products are sold to leading printing press suppliers, packaging, labels, commercial, semi-commercial, newspaper and specialty printers in the web printing markets, worldwide. After Labelexpo Americas, the RSP will be delivered to a converter in the US and marks the 5th Rotocontrol finishing machine sold into North America. One machine already delivered to a Canadian converter is an RSD die cutting slitting/rewinding finishing machine equipped with a RHINO Flat Bed Hot Foil Embossing module from Pantec GS Systems. The machine was installed in early August. 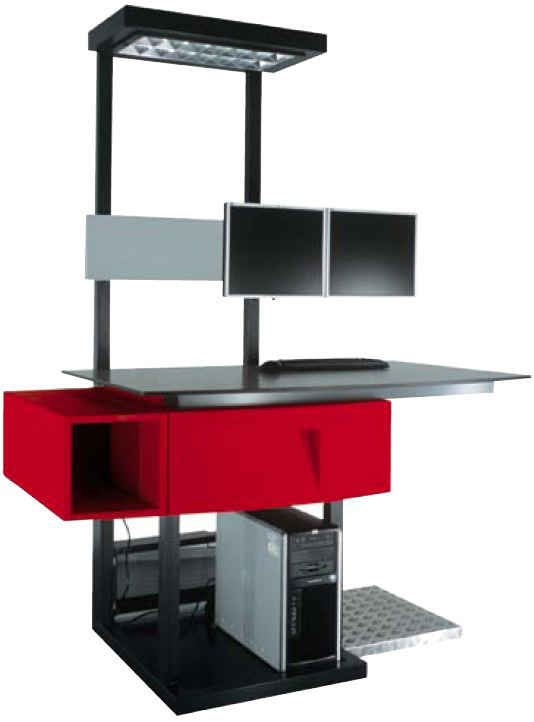 Features of the RSP include the ability to operate in 3 distinct levels of compliance conforming to the required level of security, an extremely small footprint requiring only 1.2 x 2.6 meters of floor space, and the revolutionary Vacuum Splice Table which delivers unprecedented operator efficiency by allowing automatic placement of mill-splice/flags, matrix/missing labels and vision detected defects right on the vertical inspection plate/waste rewind for reworking. Marco Aengenvoort, Managing Director of Rotocontrol will attend Labelexpo Americas and comments: "We are pleased to demonstrate our RSP single pass 100% security inspection machine in the AVT stand as this prestigious event, which attracts converters from North America, Latin America and numerous other countries. Over 20 RSP machines have been sold throughout Europe, the United Kingdom, South America, Asia and recently in North America. It is an exciting time for Rotocontrol, especially with our entrance into the North American narrow web finishing market." Rotocontrol designs and manufactures leading edge finishing machines for inspection, slitting, rewinding, die cutting, overprinting, digital labels and booklet labels for converters in the narrow web industry. Available globally, Rotocontrol offers machines from smaller basic rewinders to feature-rich, sophisticated models with multiple options featuring S-Drive Servo Technology enabling maximum web control for the most delicate film and foil materials. Headquartered in Ahrensburg (Hamburg), Germany Rotocontrol maintains the highest level of product quality through ease of use, absolute control and flexibility with a focus on operator safety and efficiency. Rotocontrol is the partner of choice in the finishing of label products. ExxonMobil Chemical has introduced new Label-Lyte 50ML580 metalized, surface-printable oriented polypropylene (OPP) film for pressure sensitive label (PSL) applications requiring a consistent, attractive metallic appearance and high-speed performance. Label-Lyte 50ML580 OPP film is well suited for applications such as beverages, health and beauty care, and household products. The film features a proprietary ExxonMobil Chemical coating over the metalized surface which provides improved metal adhesion and protection. The film’s design also helps to prevent the formation of pinholes and crazing. The top coating provides excellent print receptivity for a range of ink systems and consistent printing across multiple technologies. Label-Lyte 50ML580 film is compatible with UV flexo, letterpress, screen and offset systems, as well as water-based flexo and solvent-based gravure systems. The adhesive surface is designed for broad functionality and adhesive system flexibility, and eliminates metal transfer which is common in adhesive-side metalized films. The film also exhibits excellent stiffness for automatic label dispensing. “The new Label-Lyte 50ML580 film meets the needs of converters looking for high-speed, reliable press performance and brand owners who require high-quality, consistent metalized labels to enhance product promotion,” said Kevin Frydryk, global labels film market development manager. ExxonMobil Chemical’s controlled manufacturing process for Label-Lyte 50ML580 film from manufacture through metalizing to top coating provides consistent appearance and quality. This can help eliminate expensive and complex outsourcing of product supply. economic growth, social development and environmental considerations. 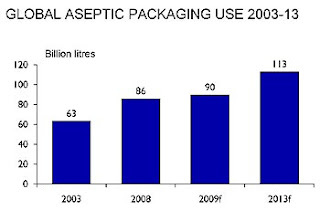 The world market for aseptically packed products amounted to 123 billion litres in 269 billion packs during 2011, according to the new Global Aseptic Packaging report from leading food and drinks consultancy Zenith International and packaging experts Warrick Research. Volumes have grown by just over 5% a year since 2008, with South/South East Asia achieving the fastest rise at 22% a year. White drinking milk accounts for 39% of aseptically packed products, with beverages responsible for 37% and other dairy or food products making up the remainder. Aseptic filling has yet to make a significant impact in food markets, but there are some established niche applications - sauces, tomato products and baby food are important new areas of development. “The market for aseptic packaging developed in Europe and the industry supplying it has been centred on Europe. This report shows the market shift to Asia in the past four years and raises the prospect of this continuing in the next few years,” commented David Warrick, Director of Warrick Research Ltd. “At a time of economic recession in much of the world, the aseptic packaging market has grown at over 5% a year in the past four years as the technology is well positioned to supply the needs of new markets and applications,” added Esther Renfrew, Market Intelligence Director at Zenith International Ltd. There are over 13,000 operational aseptic filling systems worldwide and more than 40 companies supply aseptic filling systems. The largest regional markets for aseptic packaging are set to be China and South/South East Asia both overtaking West Europe as the former largest region. World use of aseptic packaging has reflected global economic trends. Usage has been static in much of Europe, while there has been rapid growth in many countries across Asia. Value added dairy products will be a fast growing area of demand for aseptic filling systems. In some regions, fillers are used for both ambient and chilled products. 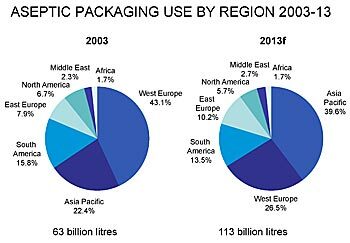 By 2016, Zenith and Warrick estimate that the world market for aseptic packaging will reach 153 billion litres using 333 billion packs. The majority of additional demand will come from South/South East Asia and China, where growth is forecast at 11% a year and 3.5% a year respectively. The 2012 Zenith & Warrick Report on Global Aseptic Packaging contains 668 pages including a detailed study of aseptic packaging use in 35 countries for milk, beverages and other products (with 2008 & 2011 data and 2012 & 2016 forecasts) and a technical report on aseptic processing and packaging (including technical developments and profiles of over 40 aseptic filling equipment suppliers). 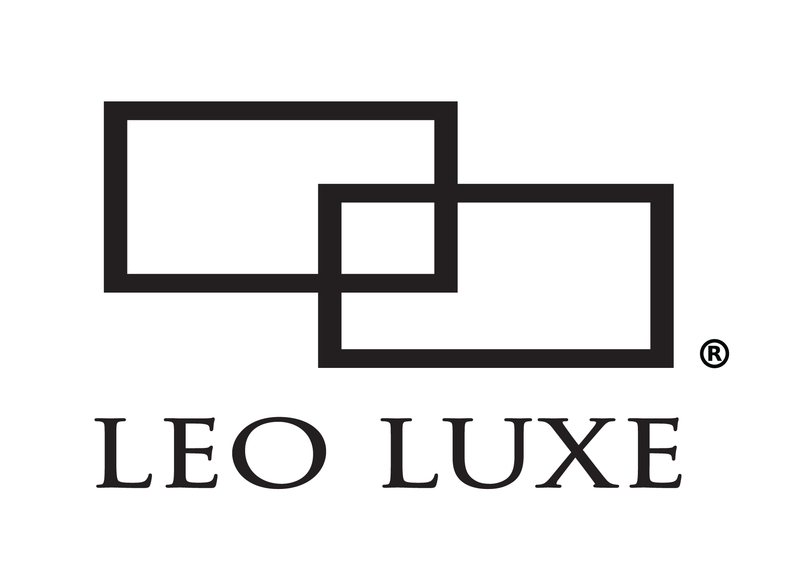 Leo Luxe, part of the leading global printing communications company, Leo Paper Group, will present its new packaging concepts and launch its new brand identity to the UK market at Packaging Innovations 2012 (Business Design Centre, London, 4-5 October 2012, stand no GB38). The new high-end designs on display include those created for customers in the premium drinks and gift markets, and employ innovative secondary processes that transform the look and feel of paper. 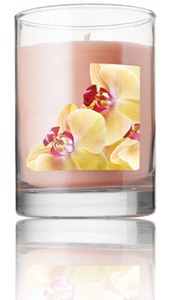 With expert, in-house design and production capabilities, Leo Luxe offers brands the flexibility to create unique, high-quality packaging that adds value and increases product marketability. 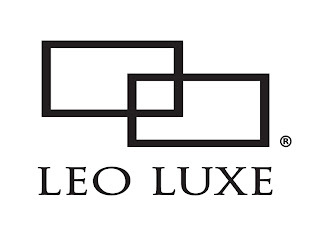 Demonstrating its pioneering approach to functional yet creative packaging solutions, the company will present a range of retail packaging, luxury presentation boxes and gift items at the show under the new Leo Luxe brand name. Cuan O'Callaghan, Leo Luxe said, "Today, brands are looking for ways to ensure their packaging stands out against the competition and communicates the right message to its target consumer group. Leo Luxe specialises in producing packaging solutions that add-value to the product itself through a combination of quality, high-tech printing techniques, secondary processes, and inspiring designs. The new branding better reflects our luxury product and service offering and the designs on our stand include some of our creative team's most inventive concepts. They also demonstrate the effective new finishing processes, developed to transform paper into looking and feeling like other materials, such as wood, metal and leather." Leo Paper Group is renowned worldwide as being committed to providing a superior customer experience. Now Leo Luxe, with a comprehensive production facility equipped with the latest pre-press and printing technologies, provides the same fast, reliable end-to-end service. "Since the company was established in 1982, Leo Paper Group has been committed to providing a high-quality, full service that ensures even the most imaginative customer requirements are met," Cuan O'Callaghan continues, "We aim to exceed our customers' expectations every time. Our commitment to meeting this objective, coupled with our state-of-the-art production and logistics facilities, lean management processes and our strong financial background, makes us the partner of choice for luxury brands all over the world." Rotocontrol has recently announced the receipt of another purchase order in South Africa from First Impression for a Rotocontrol RSC 440mm web width slitting/rewinding machine. The machine installation and operator training was completed in one day. The Rotocontrol RSC series offers a full suite of features in an economical, compact machine designed to maximize operator efficiency. Features such as cartridge slitting system, vertical inspection zone, automatic tension control, S-Drive servo driven operation, job save, and simple, functional controls means more time producing labels and less time in set up. First Impression specialises in high quality, flexographic printing for the shrink-sleeve, wraparound, roll fed and self-adhesive label market. The company produces labels for well established and key brands in variety of industries including toiletries, cosmetics, chemical and detergents, pharmaceutical, home and personal care, food, beverage and motor oils. The German Scholarship Programme started in summer semester 2011. The Programme was established by the German government under the patronage of Prof .Dr. Annette Schavan, German Minister for Education and Research. The objective of the Programme is to support talented and capable apprentices, to honour excellent performance and to encourage a new culture of foundation in Germany into action. In addition to particular success at school or university special value is placed on high social commitment. Now two scholarships have been awarded by the Stuttgart Media University (HdM), which are financially supported by the government and selected companies. There were more than 30 applicants for the two scholarships, and one of the two awardees was Yvonne Lechner from the German-Chinese double degree program for printing and media technology. This globally unique course leads to a double degree as an engineer-bachelor of the HdM and of the Xi’an Technological University. Advanced knowledge of media technology as well as the Chinese language are taught as core subjects of the degree program. On June 28, 2012 Ms Lechner received her certificate from Dr. Erich Frank, Head of Technology Management/Regulatory Affairs at Flint Group. “Since I was a little girl I’ve been fascinated by the Chinese language and culture. The fact that I also show interest in sciences and in painting in my spare time are the optimum conditions to combine all my interests”, explains Ms Lechner. Flint Group is particularly interested in promoting a competent next generation in the subject of printing and collaborates on joint projects with the HdM in Stuttgart as well as other Universi ties around the world. For example, the K+E-Award has been presented for almost 60 years, twice per year, for the best master thesis in printing technology. 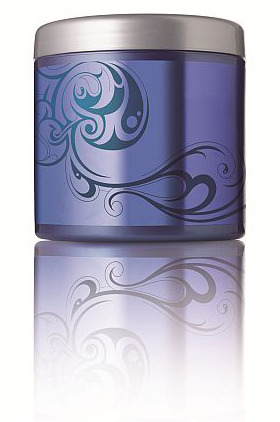 ExxonMobil Chemical has introduced the new Label-Lyte 40LL539 OPP film, a clear, two-side-coated film that allows down gauging opportunities for lighter weight labels with a glossy “no label” look. It has been designed for demanding pressure sensitive label (PSL) applications which require outstanding ink adhesion and adhesive anchorage. These include beverages (alcoholic, carbonated, mineral waters), health and beauty products, pharmaceuticals, general consumer goods, household products, pet food and other diverse markets. The coated print surface of this new film is compatible with UV, flexo, letterpress, screen and offset systems. 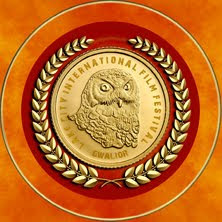 The film is also compatible with solvent- and water-based flexo and solvent-based gravure, and hot and cold foil stamping. Microscan, a global leader in technology for precision data acquisition and control solutions, announced that its C-mount design QX Hawk barcode imager has won a 2012 Ringier Technology Innovation Award in the Packaging Industry category. Microscan’s Weijiang Song accepted the award during a ceremony in Shanghai. This event was co-organized by Ringier Trade Media and its magazine International Packaging News for China, together with ProPak China 2012. 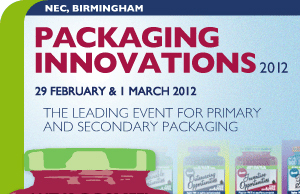 Following a strict selection process by an independent judge panel, with reference to online voting results, 21 winning companies were selected for their innovative products and technologies across 5 categories, including Package Converting, Packaging Application, Packaging Materials, Package Printing and Green Packaging. The overall aim of the award is to commend the contributions of companies promoting the development of packaging industry. At the beginning of this year, Microscan introduced a new C-mount lens configuration for two of its products: the popular QX Hawk imager and the Vision HAWK smart camera. The QX Hawk imager is ideal for industrial track and trace applications, with powerful algorithms for reading virtually all linear and 2D barcodes. The rugged Vision HAWK smart camera combines the same decode capability with a complete vision toolset to enable a broad range of inspection and identification tasks. Both products can now be used with interchangeable lenses to address more application needs, such as high magnification and wide fields of view. Microscan is a global leader in technology for precision data acquisition and control solutions serving a wide range of automation and OEM applications. With a strong history of technology innovation that includes the invention of the first laser diode barcode scanner and the 2D symbology, Data Matrix; Microscan remains a technology leader in automatic identification and machine vision with extensive solutions for ID tracking, traceability and inspection ranging from basic barcode reading up to complex machine vision inspection, identification, and measurement. Xeikon NV, an innovator in digital color printing technology, announced today that the company has received the esteemed 2012 InterTech Technology Award for its X-800 VariLane, a software add-on to the Xeikon X-800 Digital Front-End. The X-800 VariLane has been specifically designed to provide label printers greater flexibility in the production of labels, and greater profit opportunities. The InterTech Technology Awards, which are sponsored by the Printing Industries of America, recognize the development of technologies that are predicted to have a major impact on the graphic arts and related industries. More than 80 percent of the technologies that have received this award experience continued commercial success in the marketplace, according to the Printing Industries. "Label printers face an enormous challenge to remain competitive in today's world of increasing consumer choice, and they require technologies that will enable them to maximize productivity and efficiency," said Wim Maes, CEO of Xeikon NV. "What makes the X-800 VariLane such a compelling technology for label printers is the fact that it allows them to combine labels of different sizes and different SKUs within the same print job, reducing setup times and lowering costs. It's a great honor to see the value of this technology recognized with an InterTech Technology Award." The X-800 VariLane technology, which is the culmination of several years of research and development, is specifically designed for the Xeikon 3000 Series of digital label presses. It represents a major leap forward in optimizing the post-RIP (raster image processing) phase of the prepress operation, taking full advantage of the flexibility and speed offered by the Xeikon 3000 Series. With traditional technologies, more complex label orders mean more challenges with imposition, which refers to the prepress process where labels are arranged on the web roll when it's prepared for production. Prior to the VariLane technology being introduced, labels had to be equal in size, which also meant that the print lanes needed to be equal in size. The X-800 VariLane technology greatly simplifies this process with digital imposition templates. Labels with different SKUs and different sizes can be printed within the same print run. The X-800 VariLane is one of twelve innovative technologies recognized with a 2012 InterTech Technology Award by the Printing Industries of America. The InterTech stars, recognized as a symbol of technological innovation and excellence, will be presented in person during the Premiere Print Awards and InterTech Technology Awards Gala on October 7 during Graph Expo in Chicago.